Ravi encourages young adults to let their dreams take flight in his "You Can Do It" tour (photo courtesy of Ravi the Raviator). For those who have ever considered getting in the pilot's seat of an airplane, the Hylton Performing Arts Center is hosting Ravi the Raviator while on his “You Can Do It” tour. On March 19, Ravi will be visiting the Prince William Mason campus to motivate potential pilots, especially those from ages 15 to 25 and women and minorities. Ravi said he wanted to help attract another generation of people so that they may embrace their sometimes unrealized dreams of taking to the skies. It was through his experience touring with the world-known band that Ravi discovered his affinity for travel. After his time with Hanson, Ravi began touring with guitar clinics speaking on behalf of the music industry. Also, he soon began writing for monthly columns for magazines about music. 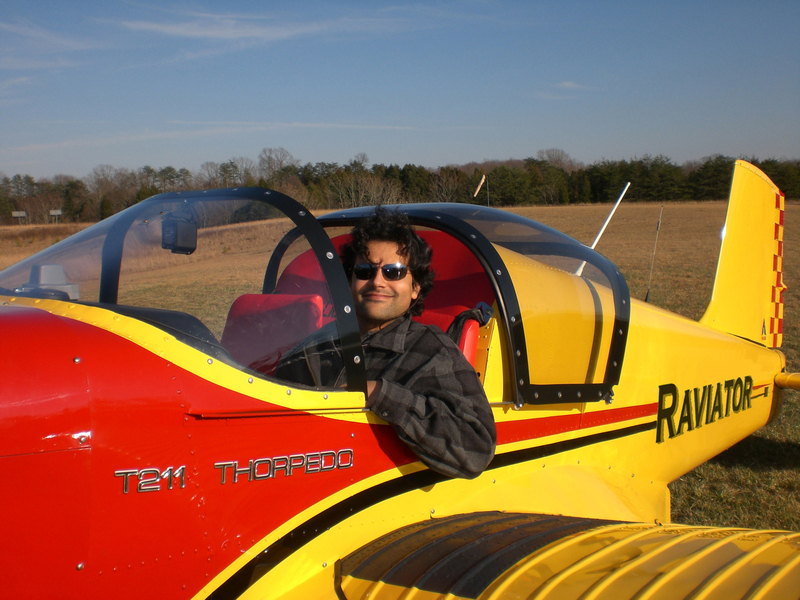 In 2008, Ravi began his dream of becoming a pilot. “It was one of those back burner things I have always wanted to do,” Ravi said. 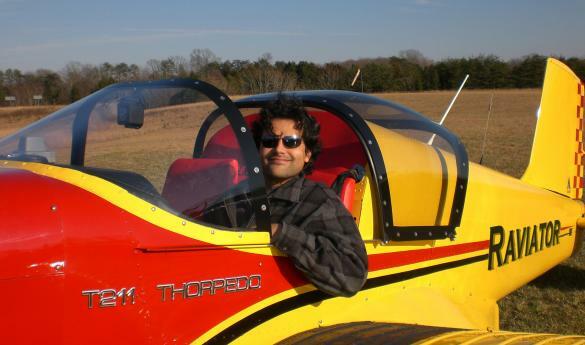 What Ravi came to realize is that learning how to fly an airplane helped him in ways outside of just becoming a pilot. Ravi's reasoning for this is based on his own experience with flying. It helped him organize his life in a way that other fields can’t. For people looking for possible career options, becoming a pilot could become a primary one for anyone's list. All of these details about flying are the reasons why Ravi is speaking nationally. “A lot of people are on the fence, wondering whether this is for them and they've always thought about it. This is the opportunity to learn more and find out if it is for them,” Ravi said. The event is free, with the option to bring in a canned good that will go to a local homeless shelter. There will be prizes, including a chance to win a 'Discovery flight,' a $1500 flight training scholarship, as well as information and access to local resources for those who want to learn how to fly in this area. The event will take place March 19 at 7 p.m. in the Hylton Performing Arts Center at the Prince William campus. For those who want more information about the tour, visit www.youcandoittour.com. The app for those who want to win prizes at the event can be found at http://iRavi.mobi. This tour is being sponsored by Lightspeed Aviation Foundation, Sporty's Foundation and Sennheiser Aviation.